Just a few days ago, the Moto G5 Plus specs were leaked, and we also saw the phone’s design being leaked by a case maker. 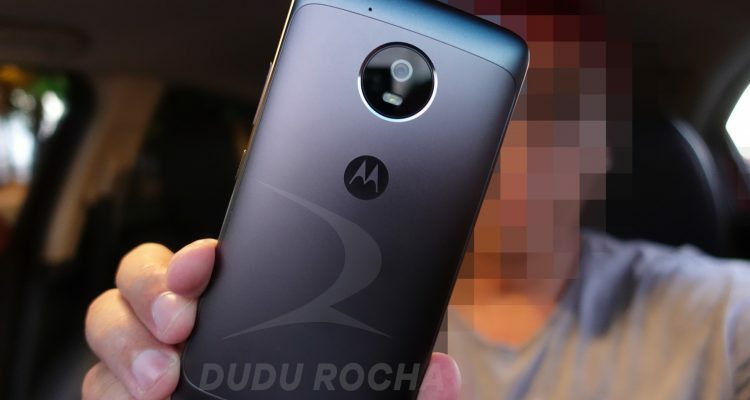 Well, the story continues as we have got the leak related to Moto G5 today. Last year, when the company announced Moto G4 and G4 Plus, some of the Moto fans were disappointed by the company’s approach to bigger devices. 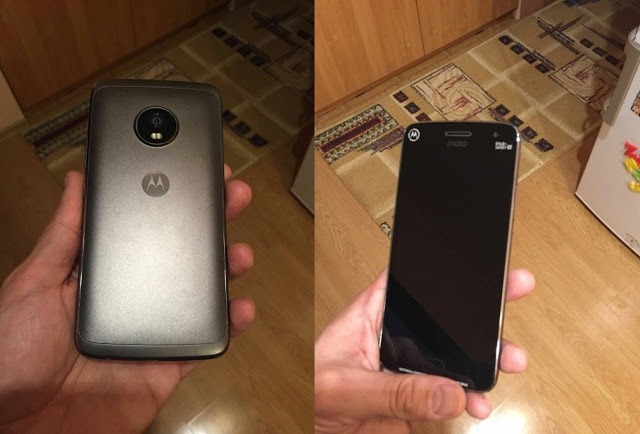 Previously, we saw the Moto G3 that was a 5-inch mid-ranger which is one of the most selling Moto phones. It seems like we are again going to see a 5-inch device. Well, Moto G5 Specs leaked today, and they reveal the same story. Before getting started to talk about specs, just keep in mind that take every smartphone leak with a bit of salt because we cannot guarantee any leak to be 100% authentic ( Except when it is from serial leakers like Evan Blass!). 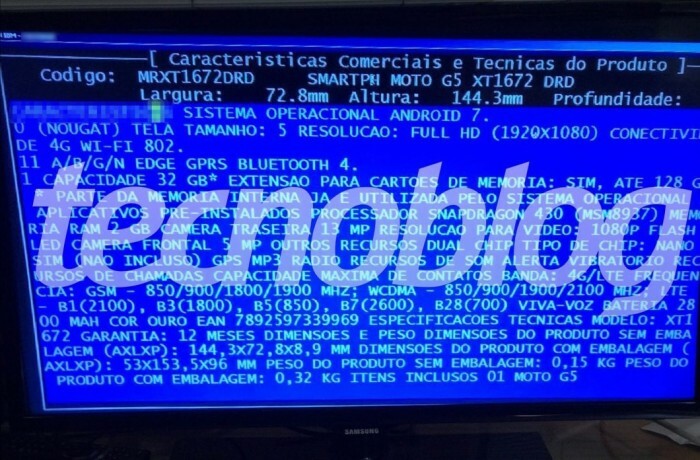 Tecnoblog, a Brazillian tech blog found information about the Moto G5 in the database of a major retailer. The device has model number XT1672, and some key specifications have been revealed through the database. The G5 features a 5-inch 1080p Full HD screen. It is good news that Motorola is bringing 5-inch phones back. ( If the leak is true). Anyways, the processor seems to be less powerful than what we are going to see in Moto G5 Plus as the G5 features a Snapdragon 430 chip along with Adreno 505GPU, 2GB of RAM and 32GB ROM. There is a 2,800 mAh battery powering the phone that will support the turbocharging just like previous year’s phones. The camera was the biggest selling point of last year’s Moto G4/G4 Plus. Well, we are hoping to see the same thing this year also. Talking about cameras, the Moto G5 packs a 13MP rear and a 5MP front-facing camera. Some other information we have got includes a nano SIM support and let’s hope there won’t be any hybrid slot. That’s it! We have no image of the phone at the moment but looking at the number of leaks we are getting every day or the other, it seems we are going to have an eye on the phone very soon. 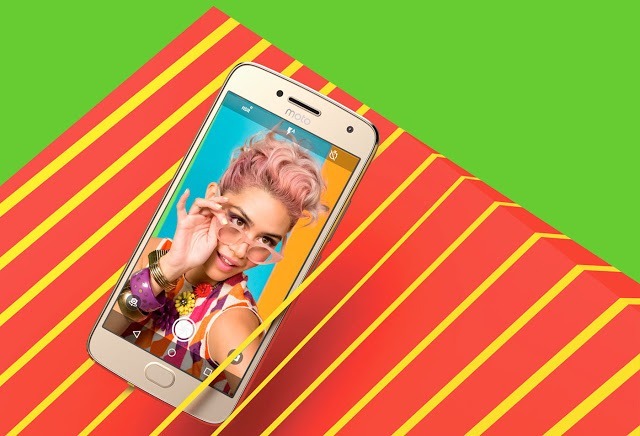 Moto G5 and G5 plus are expected to be launched in March. What do you think should be the price of the phone according to these specifications? Do let us know via the comments section.